Innovation is a much-used buzzword these days, but when it comes to creating and implementing a new idea, many companies miss the mark-plans backfire, consumer preferences shift, or tried-and-true practices fail to work in a new context. So is innovation just a low-odds crapshoot? 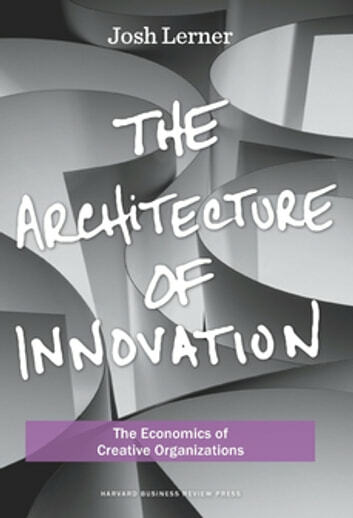 In The Architecture of Innovation, Harvard Business School professor Josh Lerner-one of the foremost experts on how innovation works-says innovation can be understood and managed. The key to success? Incentives. Fortunately, new research has shed light on the role incentives can play in promoting new ideas, but these findings have been absent from innovation literature-until now. By using the principles of organizational economics, Lerner explains how companies can set the right incentives and time horizons for investments and create a robust innovation infrastructure in the process. Drawing from years of experience studying and advising companies, venture capital firms, and an assortment of governments around the globe, Lerner looks to corporate labs and start-ups, and argues that the best elements of both can be found in hybrid models for innovation. While doing so, he uses a wide range of industry-rich examples to show how these models work and how you can put them into practice in your own organization. 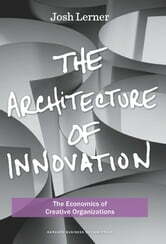 Practical and thought-provoking, The Architecture of Innovation is the missing blueprint for any company looking to strengthen its innovation competence.